Michael Jackson was indeed planning for a huge comeback for himself. But unfortunately, as we saw, life doesn’t necessarily go the way we planned it. 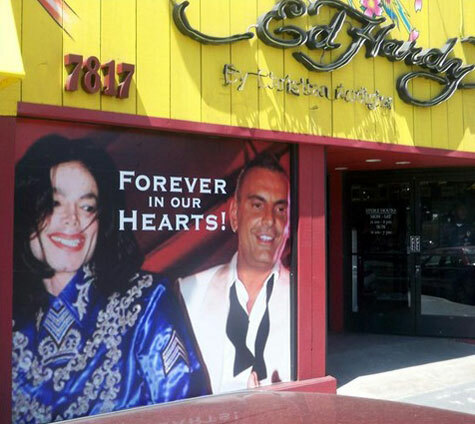 Now we are hearing that the pop legend was involved in talks with famous designer Christian Audigier to start a collection of his own. But his sudden death left things mid-way and now his designer friend has decided to make his dream come true. Apparently, MJ was able to design 100 patterns that included a pair of rhinestone socks and a rhinestone glove. He had been working on these with Audigier ever since 2007. Plans were to launch it with Jackson’s ‘this is it’ comeback tour. The clothing line was recently unveiled. All of the designs are Michael Jackson originals. Now, the pop star’s fashion sense wasn’t a huge hit really but then the fans are doing anything to keep his spirit alive. The clothes would be the next step to that end.